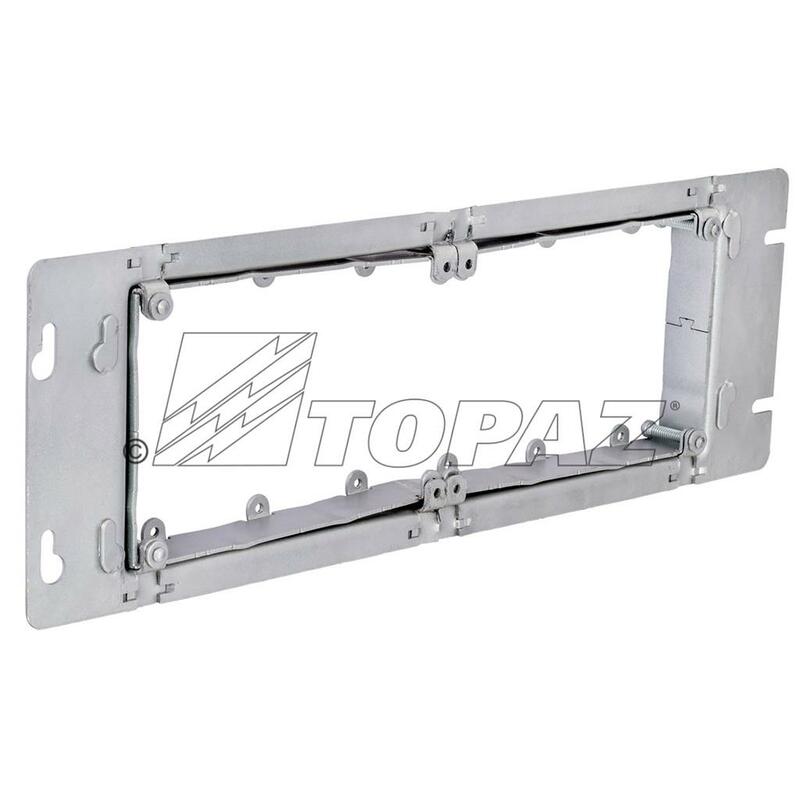 Topaz Adjustable Depth Multi-Gang Device Rings can be used in ceilings, walls and floors when the finished surface depth is uncertain, to allow a flush installation to the finished surface. 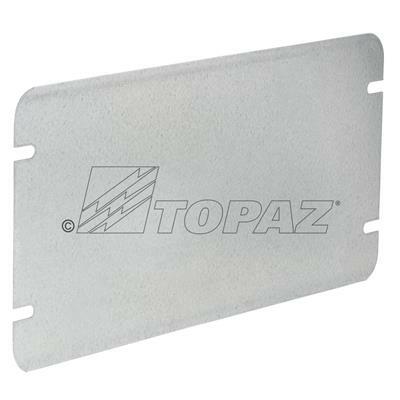 Ideal for exposed work applications, providing an easy method for the installation of electrical devices. 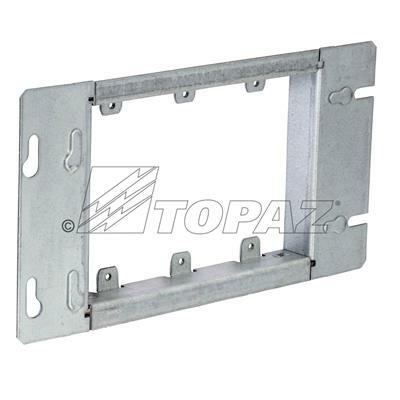 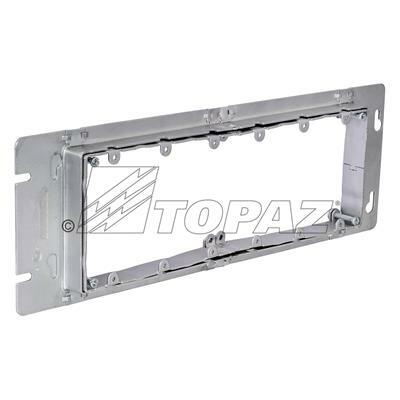 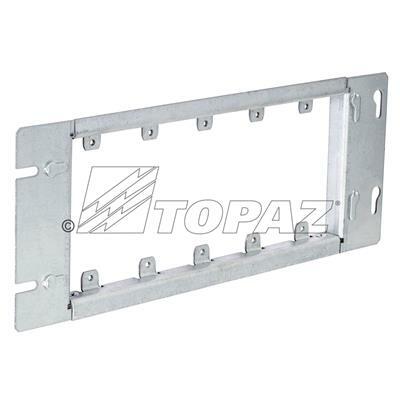 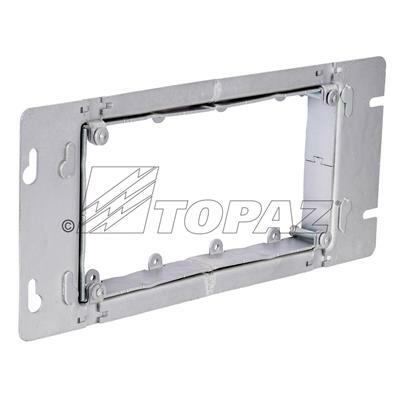 Manufactured of galvanized steel and available in 3 thru 6 gangs with 3/4" – 1-1/2" adjustable depth. Label Description 2: ADJUSTABLE DEPTH 3/4" - 1-1/2"